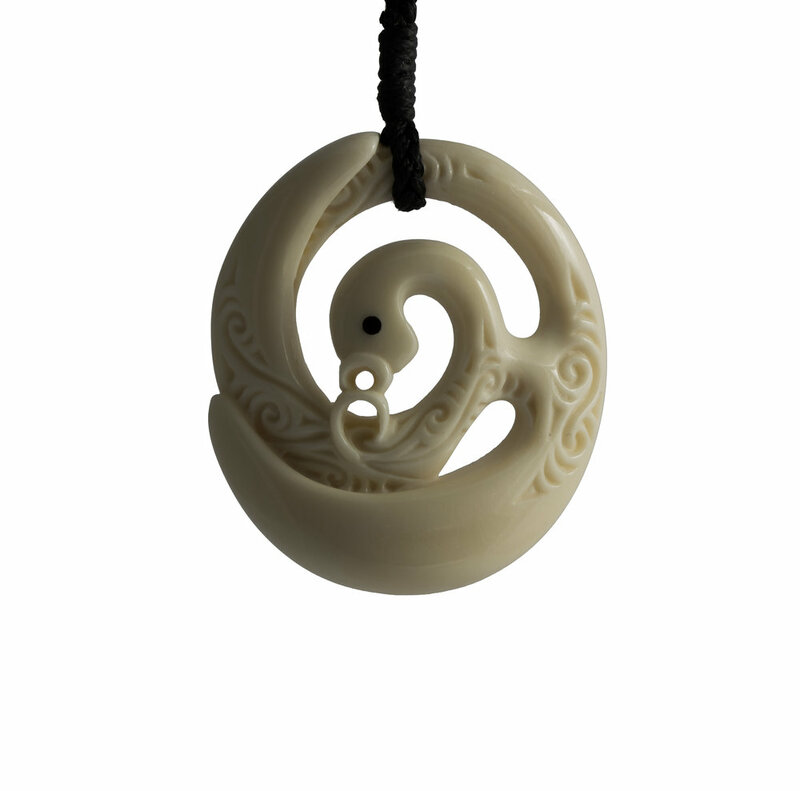 This Manaia is called 'Circle of Protection' and is symbolic of strong spiritual protection. This is part of the Circle of Life series of carvings. Through being enclosed in the protection of the circle, this Manaia is able to look deep inside itself to understand the purpose of life. This Manaia is called 'Circle of Protection' and is symbolic of strong spiritual protection. This is part of the Circle of Life series of carvings. Through being enclosed in the protection of the circle, this Manaia looks deep inside itself to understand the purpose of life. This is symbolised by the Manaia being on the inside of the carving and looking towards the carved details of the various Koru. There are two wings on the carving. These are the wings of wisdom and love. This is our true protection.